CRISPR truth is stranger than CRISPR fiction, where the revolutionary gene-editing technology is being exploited as a fairly conventional plot device. In an X Files season finale, aliens weaponize CRISPR to attack the human immune system. In Change Agent, a science fiction novel that has been optioned by Netflix, a criminal syndicate uses CRISPR to develop a range of illicit genetic services. And in C.R.I.S.P.R., a procedural thriller that Jennifer Lopez hopes to develop for NBC, a CDC scientist and an FBI agent flirt with romance while thwarting the schemes of a mad scientist. If CRISPR fiction seems predictable, it’s not the fault of CRISPR, but fiction, which is necessarily limited (as one literary critic suggested) on account of its origin—our shared desire for meaning. Caring nothing for human conventions, CRISPR retains the ability to surprise. After all, CRISPR (which stands for clustered, regularly interspaced, short palindromic repeats) evolved to protect bacteria from bacteriophages long before we decided to adapt this host-defense system for our own uses. If we are to find endlessly diverting CRISPR programming, we need to pay attention to real CRISPR stories in basic research, therapeutics development, and agricultural technology. Fortunately, tuning into CRISPR can be as easy as attending a conference or reading GEN. Spoiler alert: In this article, GEN summarizes some of the most interesting stories from Precision CRISPR, which recently held its fourth annual precision CRISPR congress. This event showcased multiplexing platforms, engineered nanocarriers, next-generation chimeric antigen receptor (CAR) T-cell therapies, and advanced plant breeding technologies. Typically, a protein of the CRISPR-associated (Cas) family of nucleases complexes with a piece of RNA, which guides the nuclease to a DNA sequence that has a complementary base sequence, where the nuclease cuts the genome. (Alternatively, a catalytically dead version of the nuclease may bind to the DNA, interfering with expression and modulating the epigenome.) The most widely used Cas nuclease, SpCas9, derived from Streptococcus pyogenes, targets a 20-nucleotide DNA sequence that is immediately followed by an NGG (aNy base-Guanine-Guanine) sequence, that is, a PAM (protospacer adjacent motif). Naturally occurring Cas9 proteins sometimes lose the plot themselves, producing off-target effects or demonstrating limited target range. Consequently, researchers hope to develop improved versions of Cas9. “We wanted to engineer even safer and more targetable tools for research and therapeutic applications,” said Benjamin Kleinstiver, Ph.D., one of the presenters at the Precision CRISPR event. Dr. Kleinstiver, an instructor of pathology at Massachusetts General Hospital and Harvard Medical School, works in the laboratory of J. Keith Joung, M.D., Ph.D., which has been working to optimize SpCas9 and other Cas proteins such as SaCas9 (Staphylococcus aureus Cas9) and Cas12a (formerly Cpf1, or CRISPR from Prevotella and Francisella 1). 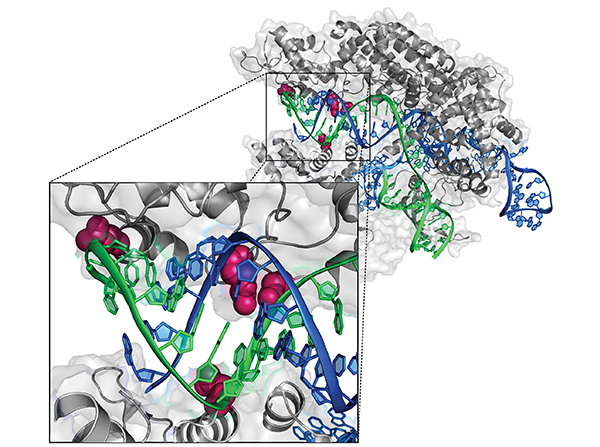 These Cas9 nucleases are proving especially useful for gene editing in human cells. Another advantage of Cas12a is superior multiplexing capability. Unlike SpCas9, which cuts only DNA, Cas12a has dual RNase and DNase activity. Ultimately, for CRISPR to live up to its well-deserved hype, scientists must overcome its in vivo delivery limitations. The CRISPR system requires at least two critical components, the Cas nuclease and the sgRNA. Cas can be delivered directly, as a protein, or in the form of DNA or RNA encoding the protein. In vivo vehicles for transporting these payloads include viral vectors and nanoparticles. Nanoparticles have many advantages, including a high loading capacity for nucleic acids, making them suitable for gene delivery. Further, they can be modified to alter the payload’s biodistribution and pharmacokinetics through active targeting and formulation. CAR T-cell therapy harvests human T cells and genetically engineers them to attack cancer when infused back into a patient. While the recent approvals of several CAR T-cell therapies have raised excitement and hope, challenges remain. To meet these challenges, Poseida is using its proprietary gene engineering tools to enhance the efficacy of autologous CAR T-cell therapies. The company is also developing technology to produce allogeneic “universal donor” CAR T cells. The company is developing CAR T-cell immunotherapies for multiple myeloma, prostate cancer, and other cancers, as well as gene therapies for orphan diseases. Poseida’s lead product, P-BCMA-101, is being developed to treat multiple myeloma. This CAR T-cell therapy is currently in Phase I clinical testing. Researchers at Poseida Therapeutics are using Cas-CLOVER™ site-specific nucleases to genetically engineer autologous and allogeneic CAR T-cell therapies targeting hematological cancers and solid tumors. 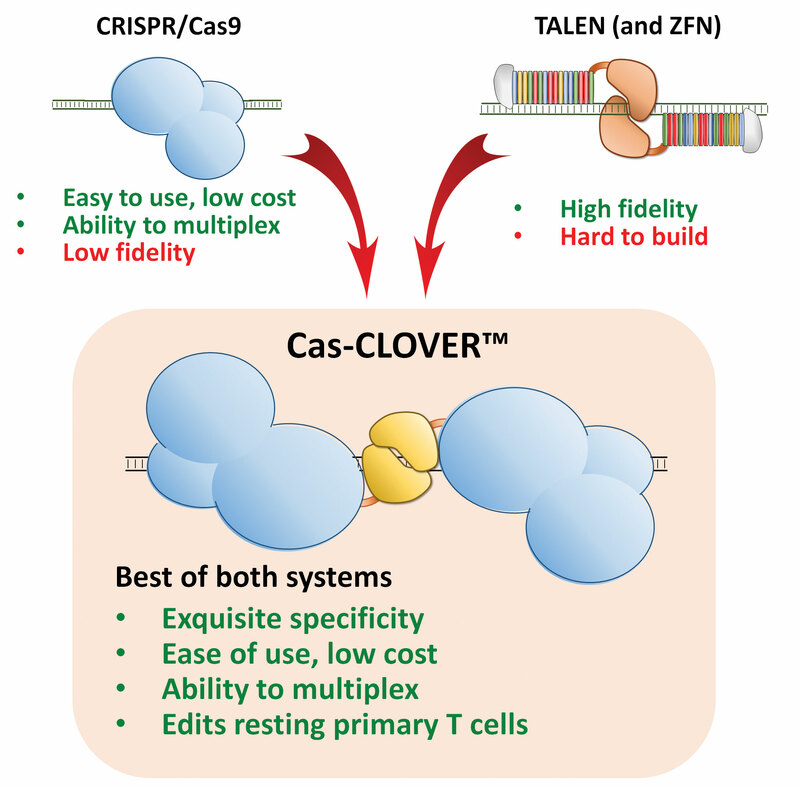 Cas-CLOVER is targeted using a set of two distinct guide RNAs, operating like CRISPR-Cas9, but demonstrating the specificity of type IIS nucleases, causing no or very few off-target mutations. At the Precision CRISPR event, most of the applications that were discussed focused on advancing therapeutics to the clinic. One presentation, however, was devoted to the acceleration of plant breeding. In this presentation, Greg Gocal, executive vice president and chief science officer, Cibus, described a process called the Rapid Trait Development System (RTDS). Agricultural CRISPR applications also interest Rodolphe Barrangou, Ph.D., associate professor, Department of Food, Bioprocessing, and Nutrition Sciences, North Carolina University. “CRISPR-Cas technologies excel as tool kits for the food industry,” says Dr. Barrangou, who is also editor-in-chief of the newly launched The CRISPR Journal. He will receive the 2018 National Academy of Sciences prize in Food and Agriculture Sciences for his discovery of the genetic mechanisms and proteins driving CRISPR-Cas systems. According to Dr. Barrangou, each year food pathogens cause about 9.4 million foodborne illnesses in the United States alone. Further, he estimates that spoilage microorganisms destroy more than a quarter of the world’s food supply. He insists that CRISPR-Cas technology can benefit food science on many levels, across the food supply chain. CRISPR-based genome editing is already being employed to increase crop hardiness and nutrition as well as improve herd genetics. Also, recent U.S. Department of Agriculture (USDA) actions suggest that the agency will exercise regulatory forbearance if advanced gene-editing technologies avoid transferring DNA from donor organisms. For example, white button mushroom and waxy corn altered by CRISPR technology have escaped USDA regulation. 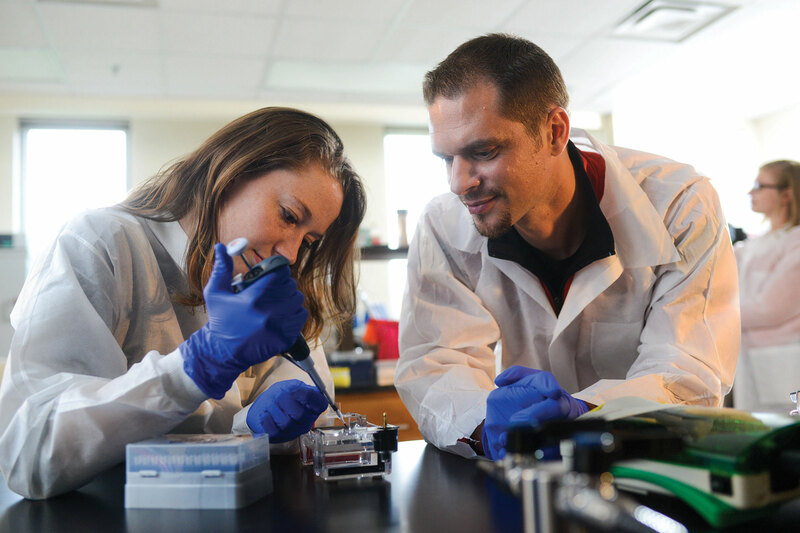 The laboratory of Rodolphe Barrangou, Ph.D., at North Carolina State University focuses on CRISPR-Cas systems in bacteria, especially as they relate to industrially relevant organisms for agricultural applications. Dr. Barrangou (right) is editor-in-chief of The CRISPR Journal. CRISPR technology has revolutionized the process for creating genetically modified mice, allowing for shorter timelines and, in many cases, more efficient production. In a presentation entitled, “Utilizing CRISPR Technology to Develop Mouse Models of Human Disease,” at the Hanson Wade CRISPR 2017 Conference, David S. Grass, Ph.D., senior director of genetic engineering, genotyping, and reproductive sciences at The Jackson Laboratory (JAX), discussed the impact of CRISPR technology on the JAX Model Generation platform. Dr. Grass highlighted the JAX team's ability to create genetic modifications on a wide array of genetic backgrounds (important for creating changes on strains that have preclinical relevance), and he contrasted the CRISPR technology with more traditional techniques, such as homologous recombination in mouse embryonic stem (mES) cells, for creating genetic modifications. Case studies were presented for two projects performed for Cat Lutz, Ph.D., an investigator at JAX. For one, an allelic series was created for familial amyotrophic lateral sclerosis (FALS) using an oligo-mediated knockin strategy to create different SNPs in the endogenous TUBA4 gene that are similar to those associated with patients with FALS. The other project involved the creation of a model for Friedreich’s ataxia, for which a conditional Frataxin null allele was created using a double-stranded DNA plasmid-mediated knockin strategy. The processes for validating the mice also were discussed. These include PCR and sequence analysis, designed to ensure that the desired mutation exists in the genome and has occurred at the targeted locus.